One of the best Christmas presents I ever got was a roadside emergency road kit. At the time, I was a struggling college student with a very old car. I also live in Minnesota and the weather can be harsh and unpredictable, especially in the winter. So, my parents bought me a deluxe version of an emergency kit. 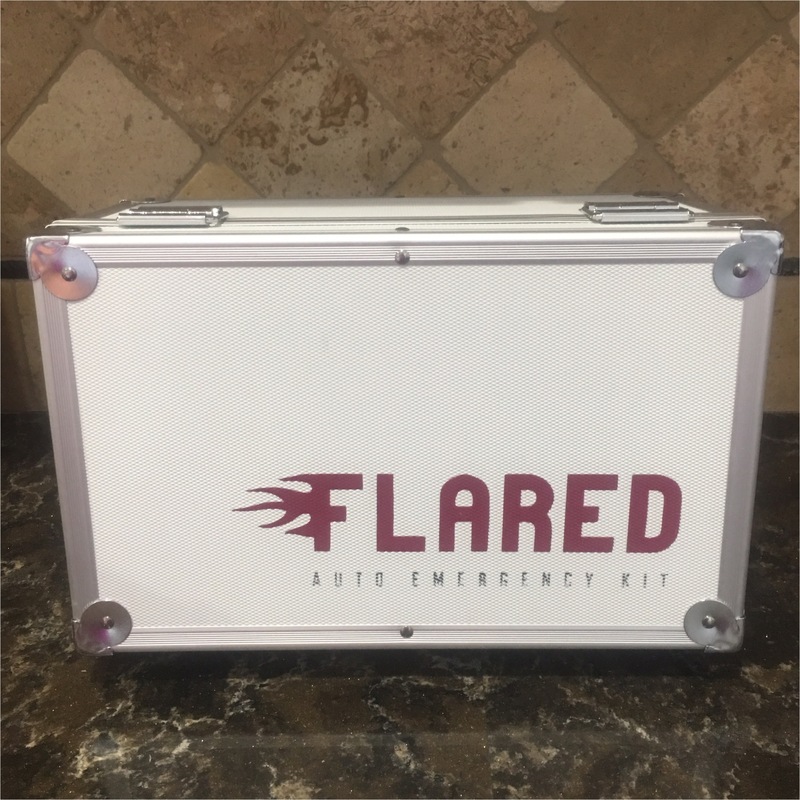 Flared Kits makes 2 versions of roadside emergency kits – a deluxe and classic version. We received the classic Flared Kit to try out. The first thing I notice is the case, I love it! Other kits I have seen (and owned) have a plastic case that constantly pops open and is difficult to shut or put things back in once you’ve used it. 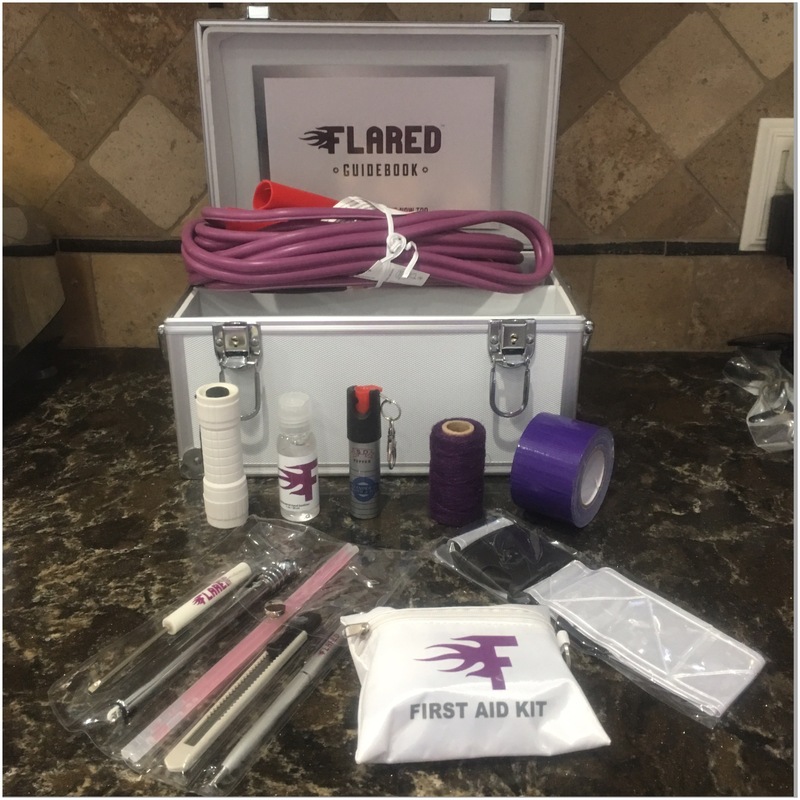 The Flared Kit comes in a metal box that can lock! Yes, you read that right, it locks. And it comes with two keys. I plan on keeping the keys in my glove box, away from the children but close enough that if I ever need them I can access them. I took everything out of the Flared Kit to look it over and placed it back in the kit, with no issues. And it closed! And locked! I have never been able to do that with any other kit I have owned. If you can, I’d suggest getting the deluxe kit. I already have hand sanitizer, tissues and umbrellas in my car at all times. And I often carry a battery power bank with my for my cell phone. But it would be nice to have it all in one place. If there is a new driver in the family, a family member that drives a lot or a child heading off to college consider getting them a Flared Kit for a gift. The Flared Kits are perfect for graduation gifts, birthday gift or any holiday. And they are the perfect way to celebrate your teen getting their license.